Photo caption: Tiana Coudray (USA) and Ringwood Magister are in the lead after Dressage at the Rolex Kentucky Three-Day Event, second leg of the HSBC FEI Classics™. 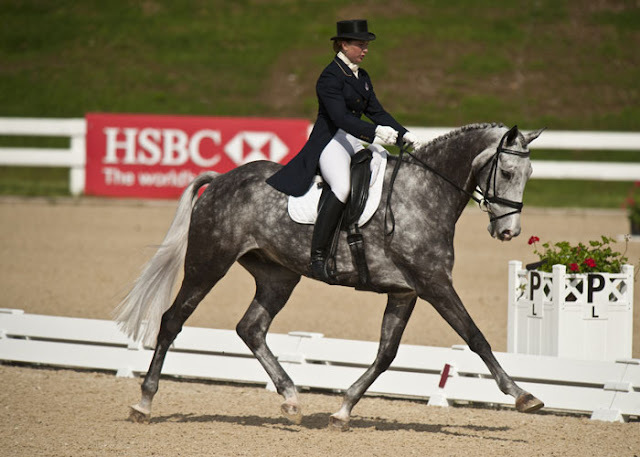 Following two days of dressage at the Rolex Kentucky Three-Day Event, second leg of the HSBC FEI Classics™, America’s Tiana Coudray is in pole position with her Jersey Fresh CCI*** 2010 winner Ringwood Magister. The duo earned the best marks from the judges for a penalty score of 40.8. Britain’s Mary King is less than a penalty behind the leading duo with her four-star first timer Fernhill Urco. “I wasn’t expecting such a good test from him. He’s a positive-thinking horse who is always forward and I find him strong but in the last month he’s really improved,” said King, who also occupies fourth with her home-bred bay mare Kings Temptress. Allison Springer and Arthur lie third while fellow American William Coleman and Twizzel share fifth place with US-based British rider James Alliston aboard Jumbo’s Jake. Mark Todd (NZL), winner of the first leg of the HSBC FEI Classics™ at Badminton last weekend, is in 17th position riding Grass Valley on a penalty score of 51.8. A total of 44 riders will contest Derek di Grazia’s 28-fence cross-country track later today, for which days of rain has provided going that is soft in places. “It’s very jumpable but definitely a four-star test with question after question. I think the ground will be the main challenge,” said King. Allison Springer is first out at 10am local time. 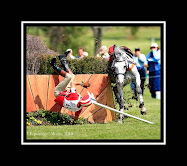 The Cross Country will be broadcast live on FEI TV www.feitv.org at 1pm (13h) GMT. 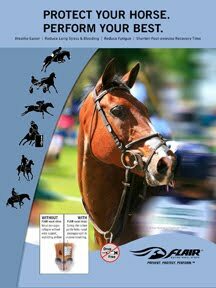 1 Tiana Coudray/Ringwood Magister (USA) 40.8; 2 Mary King/Fernhill Urco (GBR) 41.7; 3 Allison Springer/Arthur (USA) 42.3; 4 Mary King/Kings Temptress (GBR) 47.7; = 5 William Coleman/Twizzel (USA) & James Alliston/Jumbo’s Jake (GBR) 48.2; 7 Kim Severson/Tipperary Liadhnan (USA) 48.5; 8 Sinead Halpin/Manoir De Carneville (USA) 48.7; 9 Boyd Martin/Remington XXV (USA) 49; 10 Clayton Fredericks/Be My Guest (AUS) 50.2. HSBC, the platinum partner of FEI and global sponsor of Eventing, has supported the HSBC FEI Classics™ since 2008 and is the title sponsor. At the centre of this sponsorship is a commitment to the development of the sport of Eventing at every level.